According to a press release today from the Utah Department of Commerce, usage of the state's Controlled Substance Database jumped by 151 percent after practitioners were mandated to register to use the thing. Praise for the doctors should be tempered by the knowledge that HB 28, sponsored by Rep. Brand Daw, R-Orem, threatens doctors with loosing their license unless they sign up. Ninety-four percent have signed up, but still a dismal 23 percent are deemed to "actively search" the database. The database has been in existence since 1997. Utah was the third state to create the database--intended to help law enforcement stem doctor shopping and the climbing number of deaths attributable to corporate legal narcotics--and the first to allow doctors and pharmacists to access it in addition to cops. Not that those doctors actually did, not all that much. Nearly two-thirds of Utah's 485 drug overdoses in 2006 involved prescription or over-the-counter drugs, according to the state's chief medical examiner. The statewide database, however, flagged only 71 individuals as suspected doctor shoppers during the same year. 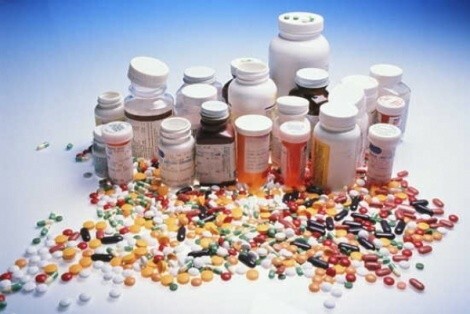 ... With 4 million narcotic prescriptions logged in 2006, the database was checked 81,955 times. Prescription narcotics sales skyrocket by 1,000 percent (DEA) and accidental drug overdoses attributed to prescription drugs jumped 348 percent from the late 90s to later part of the last decade. Overdose deaths involving prescriptions overtook car accidents as the number 1 cause of injury death during this time. And yet, as of today, there's still no requirements and only loose standards on when doctors should use the database to checkup on patients' prescription habits before prescribing more drugs. And thus, according to the press release, "the number of prescribing medical practitioners actively searching the database more than tripled from 7% to 23% during 2010." Ooooh, tripled--to 23 percent. Yippee. Now, if only 23 percent of doctors and pharmacists dispensed narcotics and other deadly products, then 23 percent would be a fine number. But that's clearly not the case, implying that there are Utah doctors dispensing highly addictive and deadly products without checking a simple database that would help inform them if their patient is deathly sick with addiction. What happened to 'do no harm'? The inconvenient and hard lesson to take from this is that many, many members of Utah's medical community can't be asked nicely to care about their patients, at least not in regards to prescription drugs. They have to have their livelihoods threatened to do so. Utah Legislature, please take note of this fact when you consider how and when doctors will be required to check the database before tossing out narcotics like they're candy. You've been tip-toeing toward rigid standards for years; it's time to put them into law.